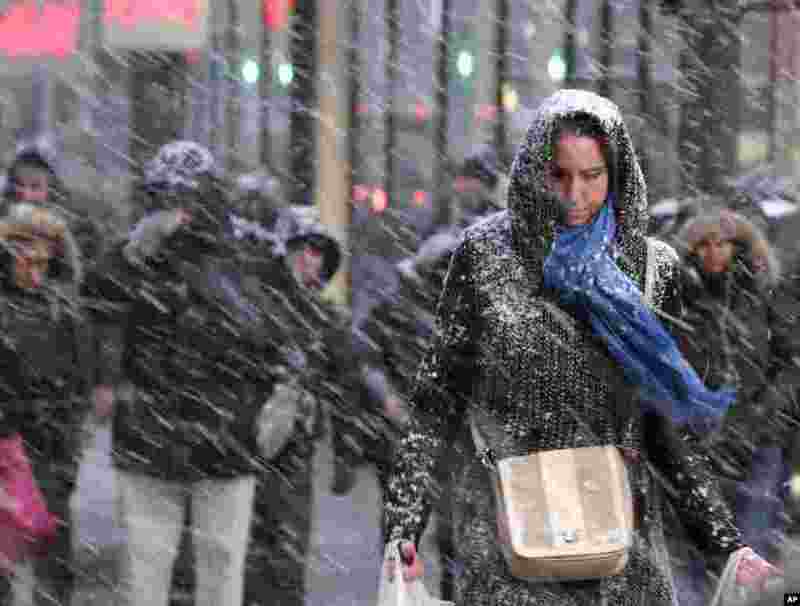 A massive winter storm dropped 30 centimeters of snow on the northeastern U.S. by Tuesday morning, but fell short of forecasters' worst predictions. 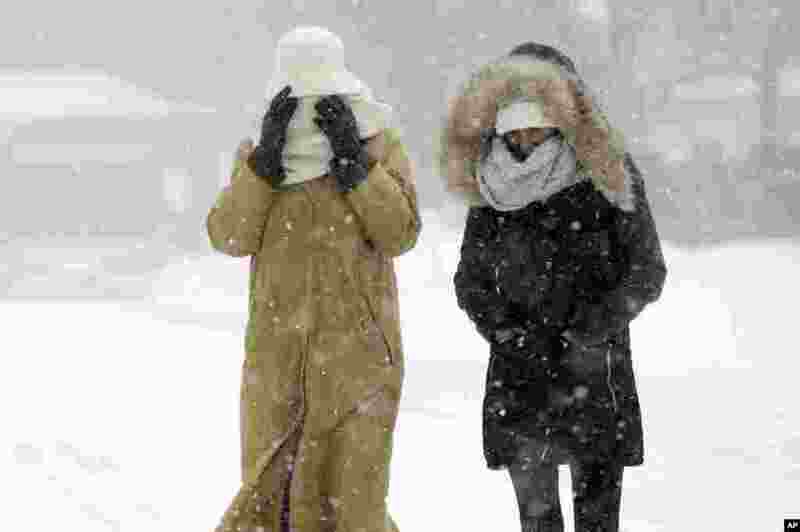 1 Pedestrians walk bundled against the blowing snow during a winter snowstorm in Boston, Massachusetts, Jan. 27, 2015. 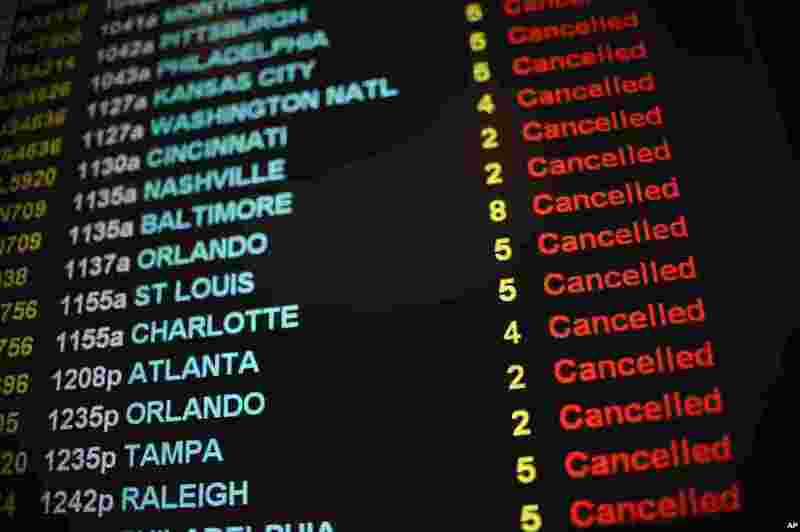 2 Flights are listed as cancelled as Bradley International Airport remains closed during a snowstorm in Windsor Locks, Connecticut, Jan. 27, 2015. 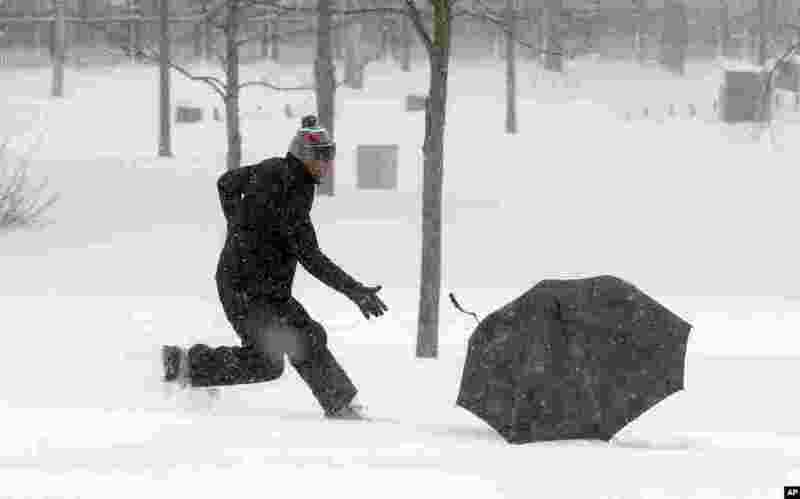 3 A man chases his blowing umbrella during a winter snowstorm in Boston, Jan. 27, 2015. 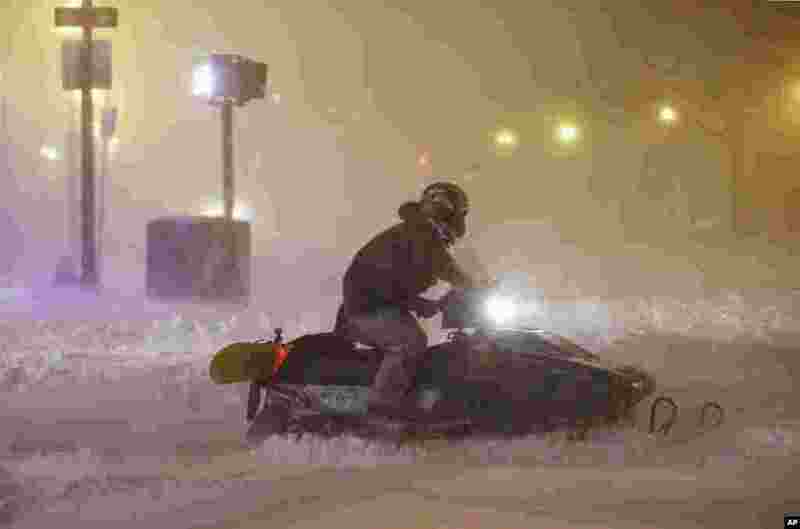 A blizzard heaped snow on Boston, the rest of eastern Massachusetts and parts of Long Island, delivering wind gusts topping 75 mph. 4 Workers try to clear snow from city sidewalks during a winter snowstorm in Boston, Jan. 27, 2015. 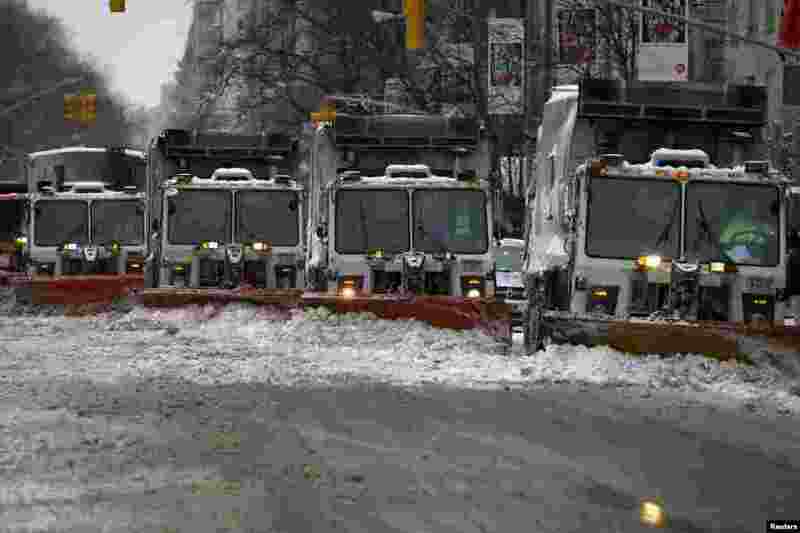 5 A line of snow plows make their way down 5th Avenue during what would normally be a busy rush hour morning following Winter Storm Juno in the Manhattan borough of New York, Jan. 27, 2015. 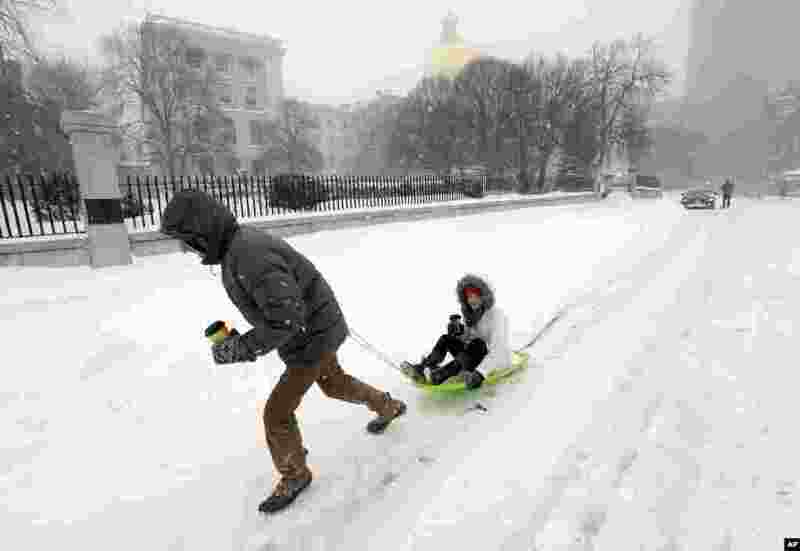 6 John Joy pulls his girlfriend Brooke Finan past the Statehouse after they made a search for coffee during a winter snowstorm in Boston, Massachusetts, Jan. 27, 2015. 7 Bianca Hillier, left, of Columbus, Ohio, and Eloise Pollard of London take advantage of a snowtorm travel ban to do something they never envisioned: making snow angels on a normally busy stretch of Manhattan’s Tenth Avenue at West 34th Street in New York, Jan. 27, 2015. 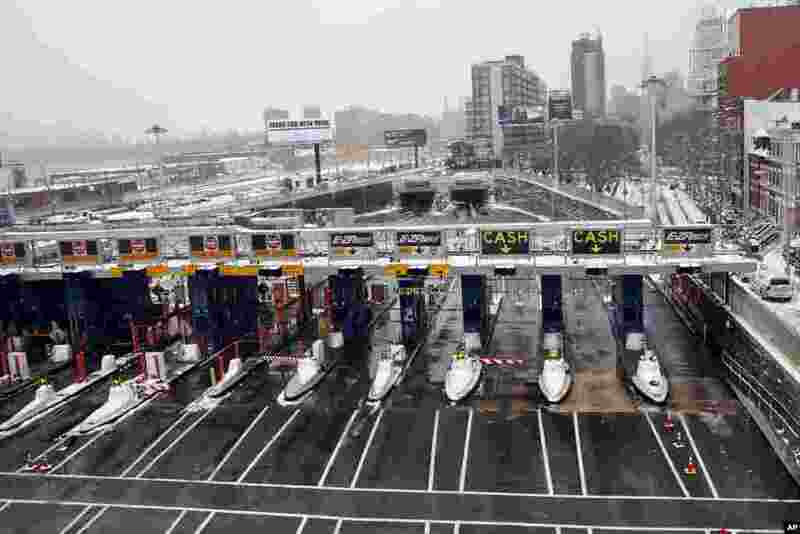 8 A single car enters the Manhattan-bound tube of the Midtown Tunnel after passing through an empty toll plaza during the morning commute following a winter storm in the Queens borough of New York, Jan 27, 2015. 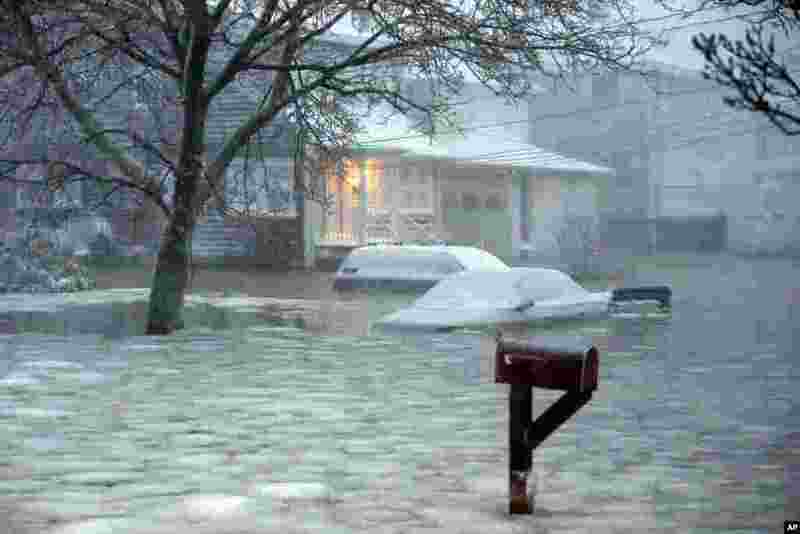 9 Water floods a street on the coast in Scituate, Massachusetts, Jan. 27, 2015. 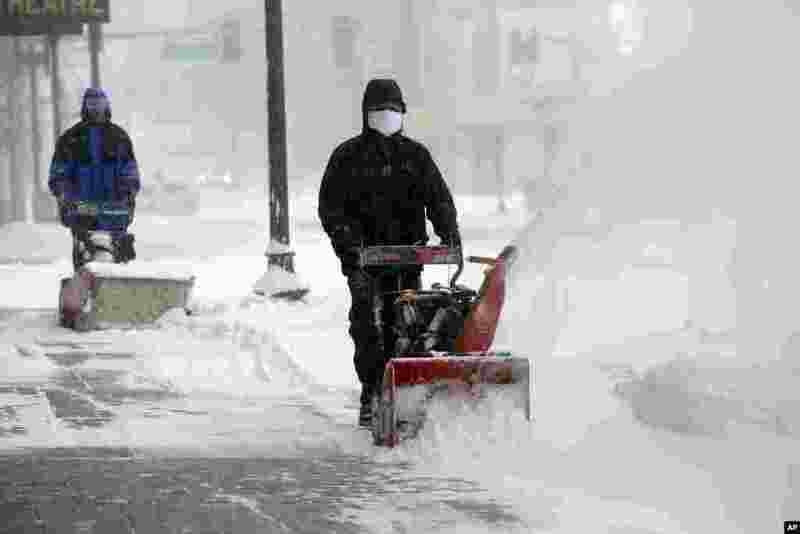 A storm packing blizzard conditions spun up the East Coast, pounding parts of coastal New Jersey northward through Maine with high winds and heavy snow. 10 Denise Young, of Lynnfield, Mass., a nursing supervisor at Massachusetts General Hospital, adjusts her hood while walking to work in Boston, Jan. 27, 2015. 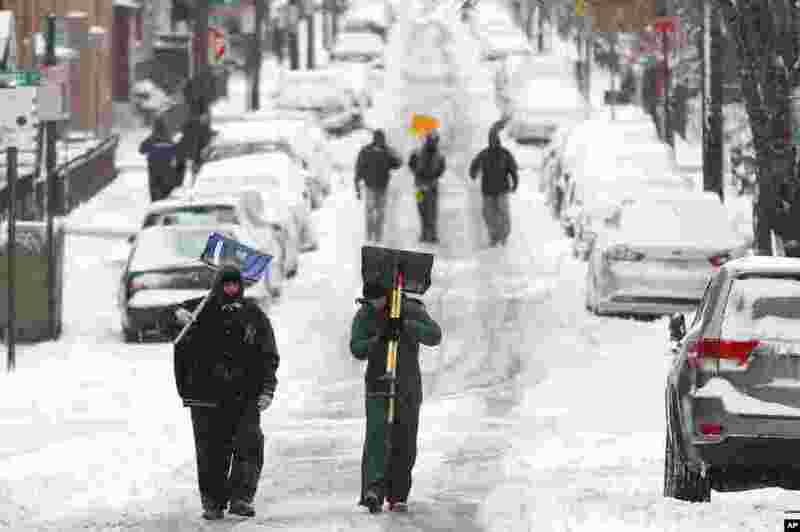 11 Men carry shovels a snow covered road after an overnight snowstorm in Hoboken, New Jersey, Jan. 27, 2015. 12 A man uses a snowmobile to travel along a street before dawn during a winter snowstorm in Boston, Massachusetts, Jan. 27, 2015. 13 Pedestrians make their way through snow in New York, Jan. 26, 2015. 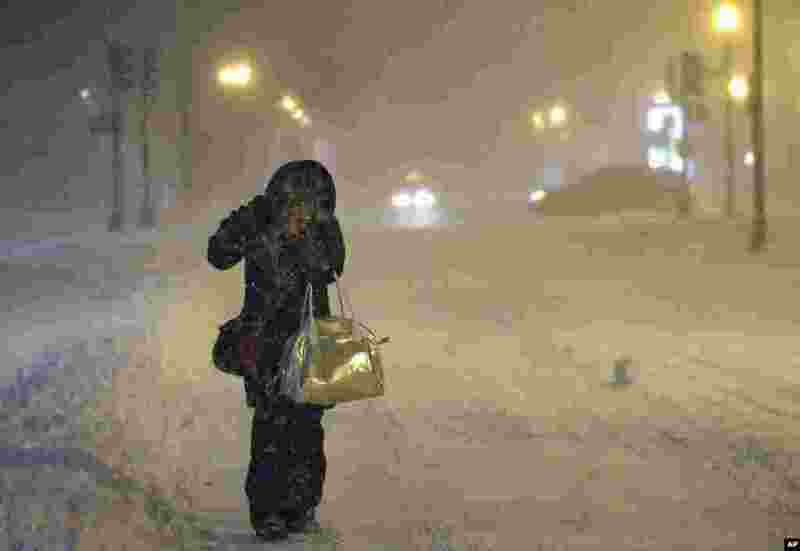 More than 35 million people along the Philadelphia-to-Boston corridor rushed to get home and settle in as a fearsome storm swirled in with the potential of 1 to 3 feet of snow that could paralyze the Northeast for days.